No matter how high Bitcoin price goes up, blockchain is not about speculation. Instead it is probably the most exciting invention since the Internet. In this Meet & Greet session, founder of LikeCoin Foundation Mr. Ko Kin will share how LikeCoin protocol uses blockchain to do attribution with Content Footprint, thereby enabling Smart Settlement for creators. 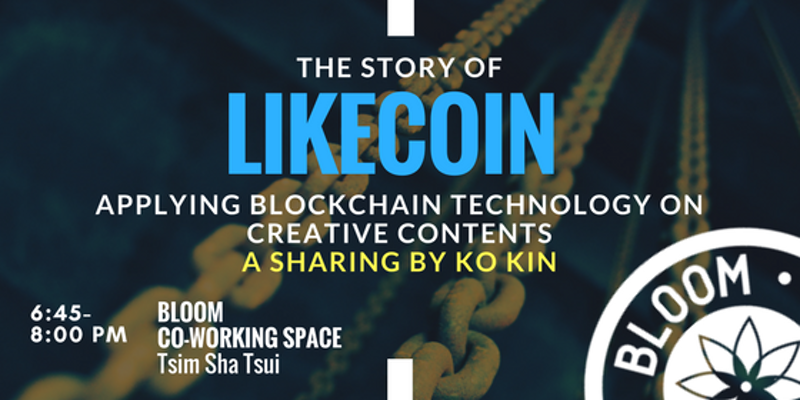 LikeCoin is an attribution protocol on blockchain and is used as the settlement currency for creative contents. After 18 years in Lakoo, a mobile game developer founded by himself in 1999 and backed by Tencent and Sequoia Capital, kin created oice visual novel which later on became a service on top of LikeCoin. Graduated in CUHK in 1997, kin holds a degree in Computer Engineering and minor in Sociology and Government and Public Administration. He shares his views on cryptocurrency, Internet and society through writings on Mingpao, The Standnews, CitizenNews, Medium and his own blog ckxpress.com.